Walt Cakebread...Look at where Officer Chaney is located in the Bronson still photograph, then look at Officer Chaney's position in the first frame of his film showing Officer Chaney's position. Note that in both the still(which corresponds circa Z 231) and the film, Chaney is BEHIND the limousine, not beside it. 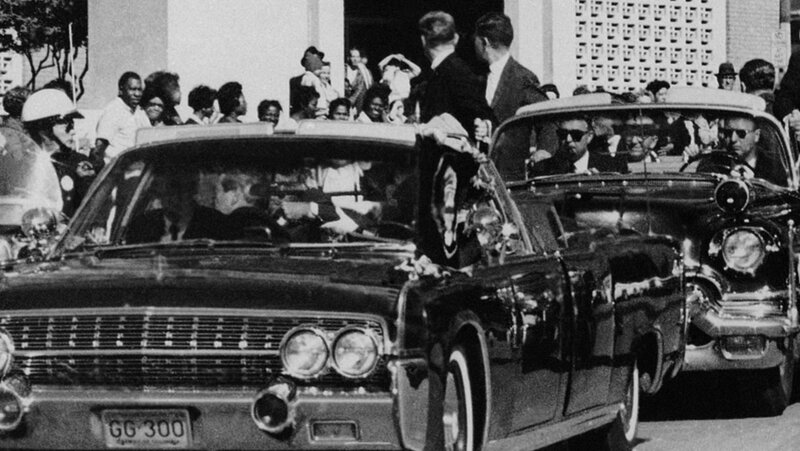 Frames 242 adds further proof that Officer Chaney was not beside the limousine, but behind it and he is looking over his shoulder not at JFK, but perhaps at Hargis and Martin to see their reaction to what he heard? There is only a tiny gap of time between Z 242 and the first film frame exposed in Bronson's film. You have no proof to offer that Chaney is "beside" the limousine except your misinterpretation of the Altgens photograph. Obviously, we are seeing Chaney's motorcycle slowing down & possibly coming to a STOP vs the JFK Limo and the Queen Mary Accelerating. Judging the position of the Chaney motorcycle during this sequence of film footage is ludicrous. I believe Officer Chaney Suddenly looking UP at the Picket Fence area is both startling and revealing. Here there are shots being fired, Chaney saw the POTUS's head explode, and he Suddenly does a head jerk AWAY from all of this and looks UP toward the Picket Fence area. Wlat Cakebread...Look at where Officer Chaney is located in the Bronson still photograph, then look at Officer Chaney's position in the first frame of his film showing Officer Chaney's position. Note that in both the still(which corresponds circa Z 231) and the film, Chaney is BEHIND the limousine, not beside it. 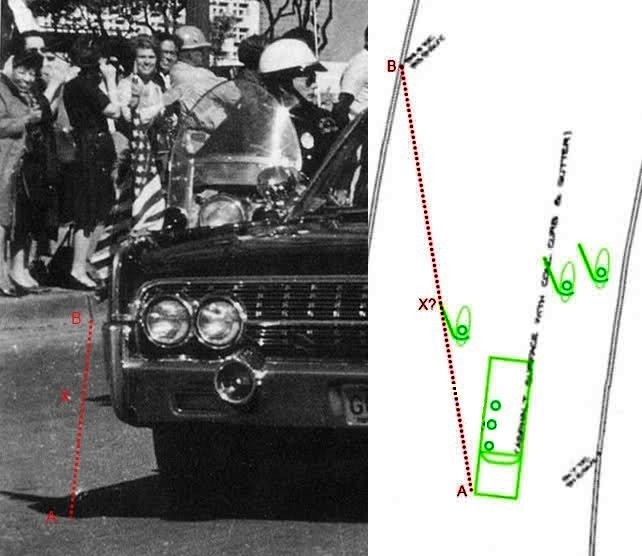 Frames 242 adds further proof that Officer Chaney was not beside the limousine, but behind it and he is looking over his shoulder not at JFK, but perhaps at Hargis and Martin to see their reaction to what he heard? There is only a tiny gap of time between Z 242 and the first film frame exposed in Bronson's film. You have no proof to offer that Chaney is "beside" the limousine except your misinterpretation of the Altgens photograph. Can the same be said for the Z film? How many years passed by before the public go a glimpse of it?? Was there sufficient time to alter the Z film?? Yes. The same can be said about the Zapruder film. You alterationists would be comical if it weren't so annoying. We saw Zapruder film frames in Life Magazine within days of assassination. We then saw other frames in other editions, The October 1964, the November 1966 issue. The frames from the film were also published within volume 18 of the Warren Report. So why are you saying such a ridiculous thing? People actually cut the frames out of volume 18 and watched the film by stacking them in order and then flipping the images to make the film move. So, I think you are just full of baloney. Walt. President Kennedy NEVER, EVER "grabbed" or touched his throat! You haven't been paying attention o the Zapruder film. President Kennedy's right hand covers his mouth. Left hand is beneath right hand, with the index finger partially curled and sticking up, while the remaining fingers are slightly curled. The extended index finger can be clearly seen in the Altgens photo, too. As the seconds pass, Kennedy turns his head slightly to his left without lowering his right hand, and now his right hand is level with his cheek. As soon as Mrs. Kennedy reaches her husband's left arm and pulls it slightly downward, he then brings his right hand down to his chest where it remained the rest of the way down the street until the fatal shot. There is zero evidence or proof that President Kennedy's hands went anywhere near his throat, therefore, he never "grabbed' "clutched" or touched his throat. Period. Walt. President Kennedy NEVER, EVER "grabbed" or touched his throat! JFK's hands are up near his throat in the photo..... THAT's the point .... Chaney was looking over his right shoulder and looking at JFK when Altgen's snapped the photo. What's JFK doing in Altgens #6??? Are you referring to the Z frames that were somehow printed out of sequence ? Altgens 6 shows what Connolly said happened. He heard the first shot (JFK is already grasping his throat or thereabouts,) then turned to his right (as in shown in the photo) and when turning back to his left was hit by the next shot. He could hardly have turned to his right, if he had already been hit by the alleged throat bullet.